Rajasthan is a north western Indian state which amalgamates tradition with modernity, on one hand are the old havelis and palaces and on the other hand are the shopping malls and international food chains. The architecture, dance, music, art and cuisines, capture the true colours and flavours of the myriad that is India. At arrival in Delhi, a warm welcome is in store followed by an overnight stay at the hotel. In case of a morning arrival in Delhi, a short trip will be arranged to visit the splendid Akshardham temple where a blend of technology and mythology is seen. A sightseeing tour of the Capital of India, Delhi, is in store after breakfast. The tour is followed by an overnight stay at the hotel. 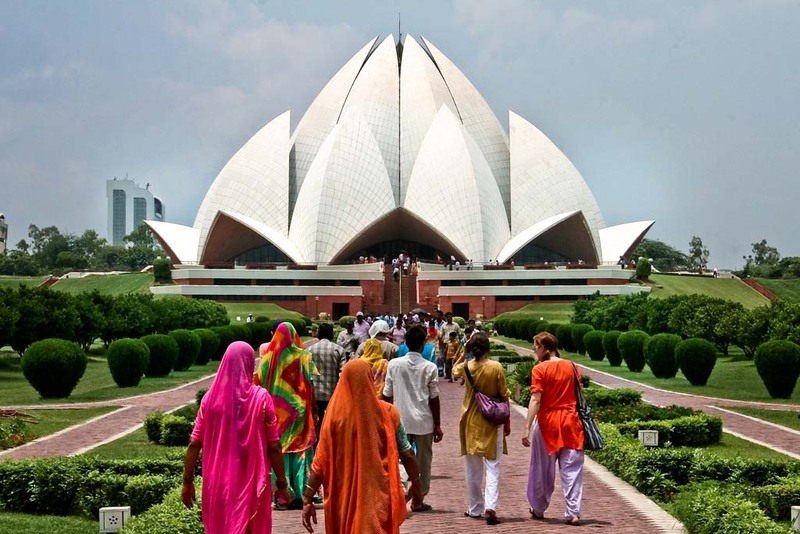 The tour will cover Red Fort, Jama Masjid, Qutub Minar, India Gate, Lotus temple, Humayun’s tomb and Raj Ghat. These sights are perfect examples to illustrate the co-existence of Mughal, colonial and contemporary architecture. A sightseeing tour around the culturally rich city of Mandawa, is planned followed by an overnight stay at the hotel. 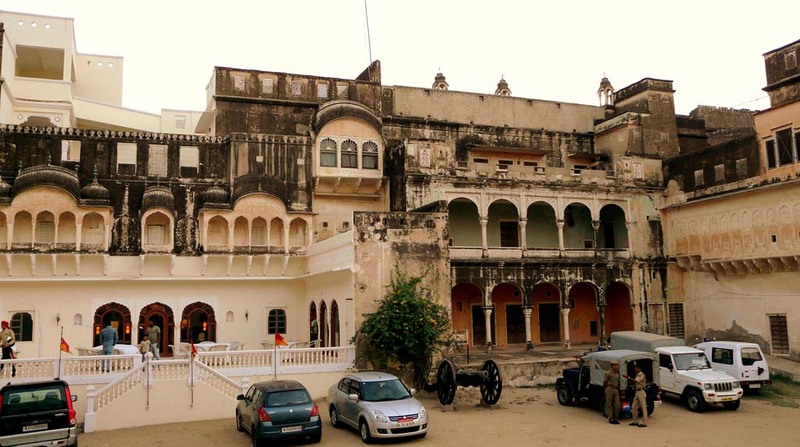 Shekhawati Rajput founded the city Mandawa in the Jhunjhunu district. Castles and frescoed havelis with exquisite wall paintings and magnificent murals are the major attractions of this city. 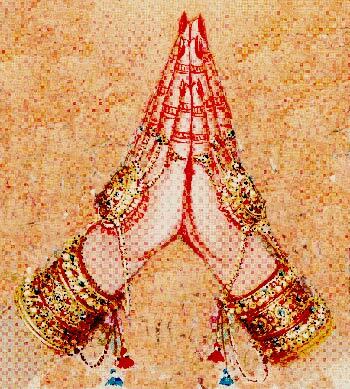 Mandawa, or more popularly known as the “open art gallery” of Rajasthan, paints glimpses of the lifestyle of the Shekhawati clan. A drive to Bikaner is in store followed by check-in at the hotel and then a guided city tour to visit the major attractions of the city. Bikaner was founded by Rao Bika, a Rathore Prince, is located in the core of the Thar Desert. The major attractions of this city are Junagarh Fort, Lalgarh Palace, Karni Mata temple, and Camel Research Centre. Overnight stay at the hotel. A drive to Jaisalmer after an early morning breakfast. Jaisalmer is situated at the heart of the Thar Desert and is known as the Sun City because the city glows like gold when the sun rays fall on the yellow sands. The sightseeing tour will include a visit the Nathmalji Ki Haveli, Patwan ki Haveli, Salim Singhji ki haveli and Manek chowk. Overnight stay at the hotel. 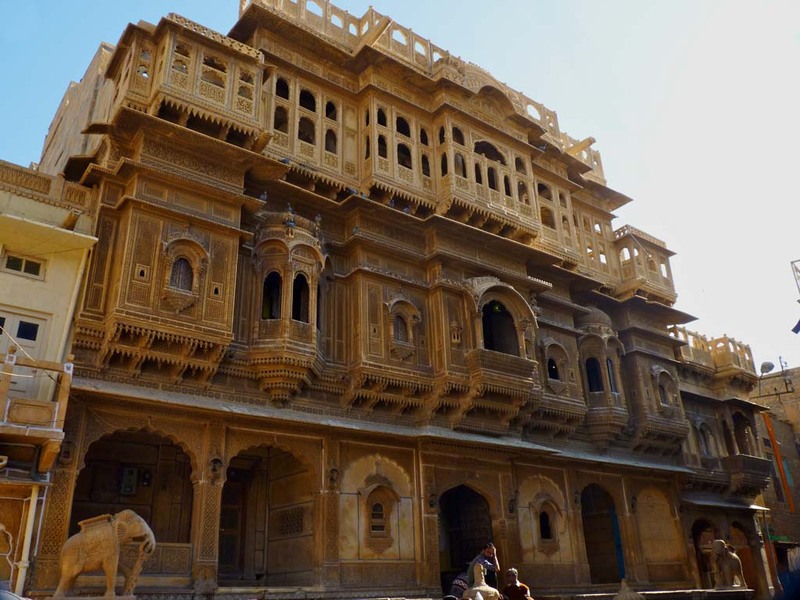 Along with the beautiful forts, the city of Jaisalmer also offers adventure, adding a new dimension to the trip. 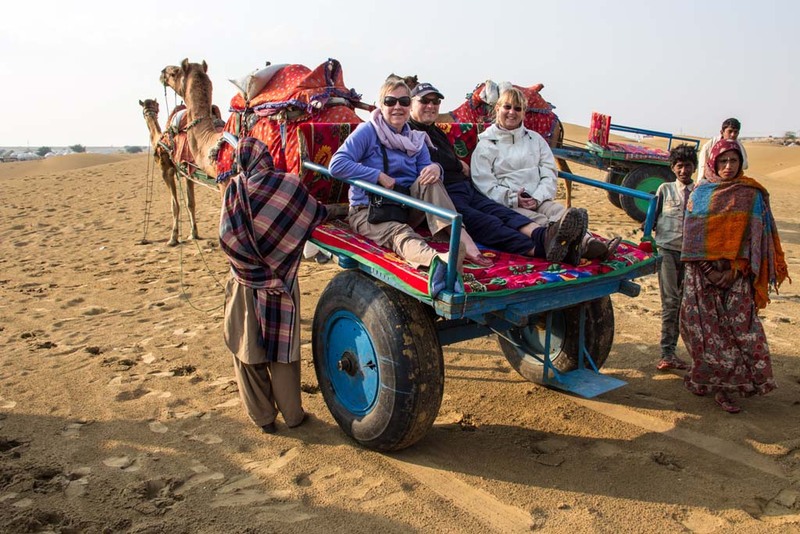 A camel safari tour in the famous Sam Sand Dunes and Khuri Village is arranged. A relaxing evening at Sunset Point to experience the magic hidden in the changing hues of the desert sand accompanied by folk and cultural performances till late night. Overnight camping in the tents at Khuri sand dunes. After checking out from the hotel, a drive to Jodhpur. The Sun City Jodhpur was the capital of the Rathores and was named after its founder, Rao Jodha. Due to the indigo whitewashed walls of most houses in the city, the city is also called the “Blue city”. A sightseeing tour following a check-in at the hotel. The sightseeing tour includes the splendid panorama of Umaid Bhawan Palace, Jaswant Thada, and the splendid Mehrangarh Fort. Overnight stay at the hotel. A tour around Luni after breakfast followed by a delightful overnight stay at Palace Chanwa, a heritage hotel. The main highlight of the tour around the cloistered village of Luni is the Fort Chanwa, an architectural masterpiece. A drive to Udaipur post early breakfast followed by an en-route visit to the elegant Jain Temple in Ranakpur. After a few relaxing hours at the hotel in Udaipur, a boat ride is arranged at Lake Pichola followed by an overnight stay at hotel. A beautiful early morning along Lake Pichola and breakfast, followed by sightseeing around the city covering Shilpagram, Jagdish temple, City Palace Bharatiya Lok Kala Mandal, Fateh Sagar Lake and Monsoon Palace. Overnight stay at the hotel. Post breakfast, transfer and check-in at hotel in Deogarh followed by a tour around the city. Situated on the right bank of river Betwa, Deogarh is famous for miniature paintings and colourful markets in the narrow alleys. The main attraction, Deogarh Mahal was built by Rawal Dwarka Das Ji. A cluster of 31 Jain temples, the Manastambha and Lord Vishnu’s Dashavtar temple are also famous sights. 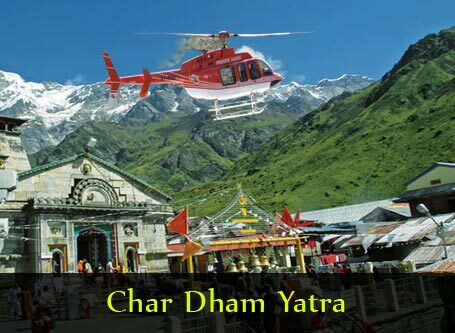 The tour includes visit to Dashavtar temple, Manastamba, Chanderi and Deogarh Mahal. We drive to the capital of Rajasthan, Jaipur, after breakfast. A leisurely spent afternoon after check-in at the hotel. 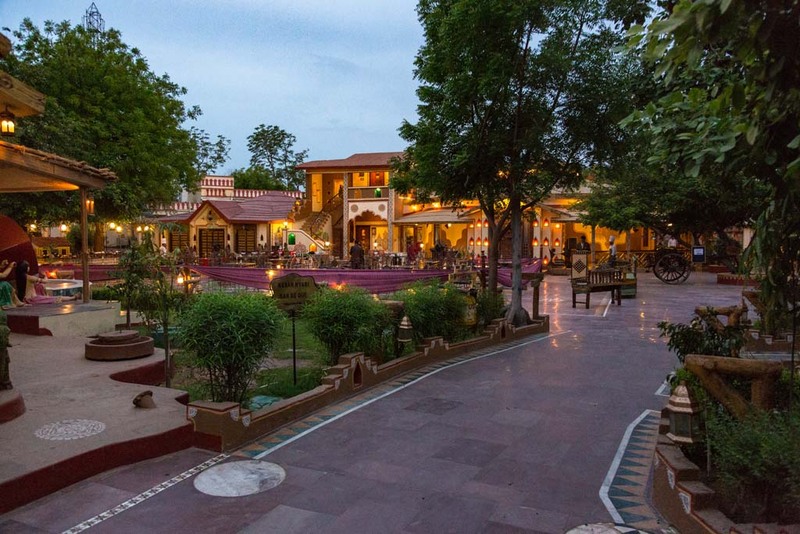 A tour to five star ethnic village themed resort - Chokhi Dhani in the evening. Overnight stay at the hotel. Sightseeing tour around Jaipur after breakfast. 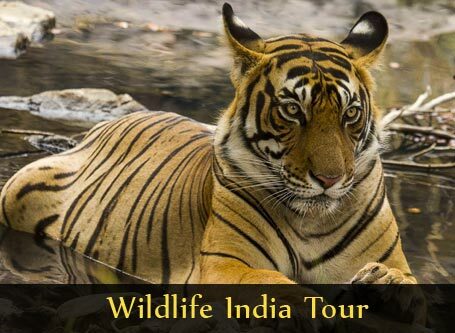 The tour includes a visit to Amber Fort atop a hill and an elephant ride from the base to the fort. 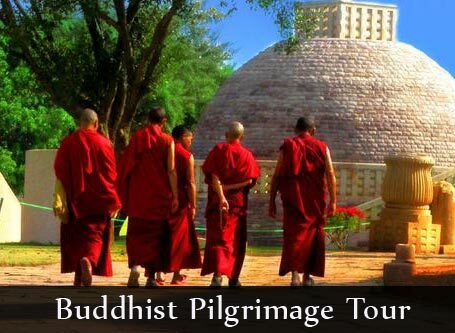 The tour also includes a visit to Jantar Mantar, Hawa Mahal, Jaigarh and few more sights. Departure to Agra after breakfast. En-route visit to the bird sanctuary in Bharathpur. Sightseeing in Agra, post check-in at the hotel. Sightseeing includes Agra Fort which is a UNESCO World Heritage Site. We also visit the magnificent Taj Mahal, which is defined as “a tear on the face of eternity” by Rabindranath Tagore. The Taj Mahal, made of extraordinarily luminescent white marble, was constructed by Mughal Emperor Shah Jahan, who erected it in memory of Mumtaz Mahal, his beloved wife. Finally we tour the Agra bazaars, after which we retire for an overnight stay at hotel. An early morning visit to the Taj Mahal to capture the exotic beauty of the monument in a milky-pink shade. Either a drive or flight from Agra to Delhi. En-route visit to the carved tomb of Akbar adorned with Muslim, Jain, Christian, Hindu and Buddhist motifs, in Sikandra.